In Delhi, gold of 99.9 per cent and 99.5 per cent purity rebounded by Rs 140 each to Rs 32,970 and Rs 32,800 per 10 grams, respectively. 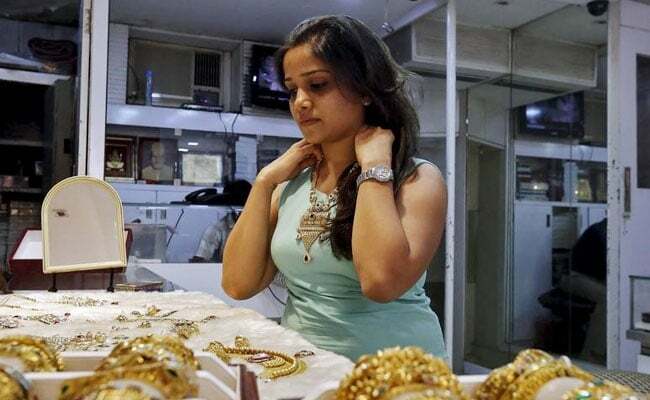 Gold prices bounced back by Rs 140 to Rs 32,970 per 10 grams at the bullion market Tuesday on the back of positive global trend and fresh buying by local jewellers, reported news agency Press Trust of India (PTI) quoting the All India Sarafa Association. Silver followed suit and recovered by Rs 235 to Rs 38,960 per kg due to increased offtake from industrial units and coin makers. Traders attributed the rise in gold prices to a firm trend overseas as the dollar weakened to two-week lows on expectations that the US Federal reserve will maintain a dovish tone at its monetary policy meeting this week. 1. In Delhi, gold of 99.9 per cent and 99.5 per cent purity rebounded by Rs 140 each to Rs 32,970 and Rs 32,800 per 10 grams, respectively. It had lost Rs 540 in the past two days. 2. Sovereign, however, remained flat at Rs 26,400 per piece of eight grams. 3. Globally, gold rose on expectations the US Federal Reserve will stay dovish at its meeting this week, reported news agency Reuters. 4. Spot gold gained 0.3 per cent to $1,307.12 per ounce, as the dollar languished near two-week lows hit in the previous session on growing expectations the Federal Reserve would shift to a more accommodative policy stance. US gold futures rose about 0.4 per cent to $1,306.70. 5. Silver ready also moved up by Rs 235 to Rs 38,960 per kg and weekly-based delivery by Rs 166 to Rs 38,031 per kg. Silver coins, however, continued to be traded at previous level of Rs 79,000 for buying and Rs 80,000 for selling of 100 pieces.